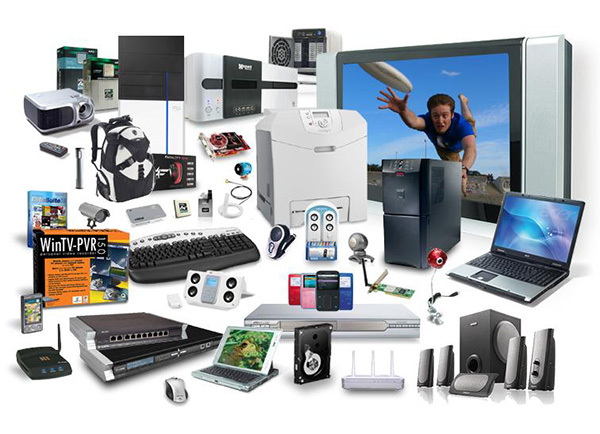 According to EPA, in 2009 only 38% of used and end-of-life electronics were collected for recycling. Of the percentage that aren’t disposed of properly, many are traded illegally on the grey market, leading to the potential legal issues outlined above. A Certified Product Disposal Company can protect your business from this trifecta of legal issues. They can take care of your disposal needs, by making sure the disposal of your products abides by the ever-changing waste management rules. It’s important to work with a Certified Disposal Company when your products reach the end of their life, but how do you know which company to choose? Which disposal company will truly have your back? Today, we’re going to walk you through everything you need to know when choosing a Certified Disposal Company. What qualifications a company needs. How a disposal company needs to provide evidence the disposal was handled legally. Whether they need to be insured. Should You Choose a Certified Disposal Company Based on Price? Sometimes, your budget simply can’t fit a more expensive disposal service. If this is the case, you’ll need to determine which companies are in your price range and which ones you can trust. Ideally, price is only part of the decision-making process, and it’s not always the best determining factor. For example, disposal companies can have untrustworthy employees who let some of your products slip into the grey market, leaving your business legally and financially vulnerable. They may also neglect to provide photographic or video evidence of the destruction. While this isn’t required, most reputable companies will take these extra precautions to protect their clients. It could be worth it to choose a more expensive company in order to avoid some of these adverse outcomes. Are They Experienced Product Disposal Experts? The company you choose should have extensive experience in product disposal. It takes knowledge of the current regulations and a keen understanding of the available disposal options to truly provide top-notch service and competitive pricing options. Is the Company Licensed to Handle Hazardous Waste? If your business produces hazardous waste, your disposal company should be licensed to handle it. And how do you know if they’re licensed to handle hazardous waste? Head over to their website and look for their certifications. You can also check with the DTSC’s Registered Hazardous Waste Transporter Database to see if they a legally registered transportation business. No certifications to be seen? Better steer clear. Hazardous waste comes with potential liabilities. If the disposal company you choose isn’t bonded and insured, it doesn’t necessarily mean you are liable. 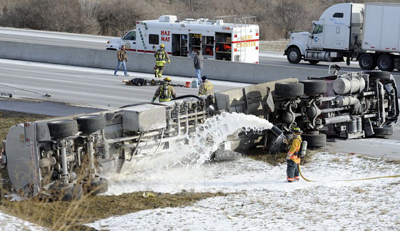 The disposal company would retain liability for the operation of their vehicles. However, as part of the Resource Conservation and Recovery Act (Environmental Protection Agency, 42 U.S.C. s/s 6901 et seq., 1976) hazardous waste generators maintain cradle-to-grave liability. Add in the knowledge that you are hiring a responsible company who has purchased the required insurance coverage, and the chances of something major coming back to bite you are diminished. Experienced and reputable disposal companies will be bonded and insured, so check before committing yourself. Does the Disposal Company Have a Set Plan to Destroy Your Products? If you ask your certified product destruction company what their plan to destroy your products is, they should be able to lay it out for you, step-by-step. They should also tell you how their plan will make sure your products have no chance of entering the grey market to be illegally sold for profit. If your products enter the grey market, they will be sold for much lower than the retail price. This can lower consumer’s price expectations, which hurts your brand. Not to mention, undercutting in the grey market also chips away at your bottom line. We cannot stress enough how important it is for your disposal company to complete the job 100%. They should have a fool proof plan, which they have no problem laying out for you. Photographic and video evidence of the disposal is not required, but trustworthy companies will provide this extra service to help their clients feel secure. If you’re considering a company, ask them if they provide evidence of the entire disposal procedure – from start to finish. A trustworthy company will have nothing to hide, so they should videotape and/or take pictures of the disposal. Do They Have 24/7 Surveillance Cameras? Your products may need to be stored overnight, meaning their disposal might be delayed. The longer it takes for your products to be destroyed, the more time there is for them to be stolen and put into the wrong hands. 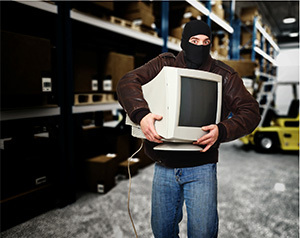 Storage yard facilities must have strong security measures in place to protect their client’s products. 24/7 surveillance should be standard in any disposal yard, so that any perpetrators found near the products can be dealt with before they can interfere with the items to be disposed of. Not all disposal companies will provide you with a certification that the disposal process has been completed. Any certified product disposal company worth their salt, should provide you with a certification from the disposal facility that the disposal process has been completed. If they don’t, follow up with them and grab that certification. When looking for a Certified Disposal Company, the potential legal issues involved make this process utterly important. Take into account not only price, but how much you can trust the company you’re about to work with. Check that the company is licensed properly. Make sure they’re experienced in the field, ask them what their plan is, and be sure they can lay one out for you. Then, ask them if they provide evidence of the entire process, and check that the facility has 24/7 surveillance on their storage areas. Finally, they should provide you with certification that the entire process has been completed. If you can check all of these off, you have found the right Certified Disposal Company.